Korea is an economic miracle. The growth during the past 40 years has been remarkable and the country is one of the, so called, Asian tigers. Is it possible to learn from Korea? Yes, it certainly is. 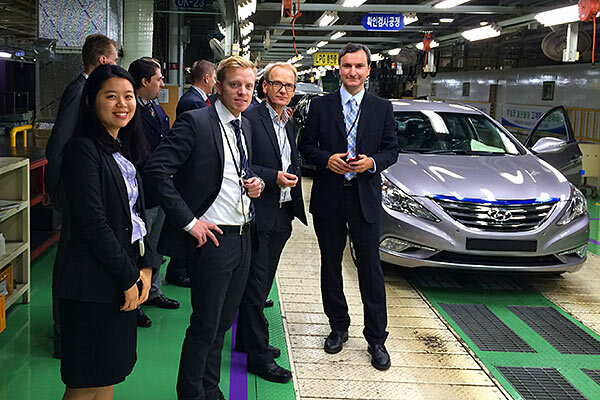 After half a year of preparations, we are now in Korea where we run a six-day Korea Business Programme. The participants are senior managers, some of whom are Executive MBA Alumni. The programme has been designed together with Yonsei University in Seoul, one of the foremost universities in Korea. This university is our local academic partner and we have worked closely together during the design process. Thanks to their resources and network, they have been a crucial resource for creating this programme. They have been responsible for the design and preparation and now during this week they deliver the programme at the wonderful campus just north of Seoul city centre. When designing the programme, the assumption was that the participants are senior managers with experience of Asia but lacking profound understanding of Korean business and culture. The objective has been to create an intensive one-week programme that enables a steep learning curve. After the programme, the participants will be prepared to engage in business with Korean companies. The programme consists of a blend of academic lectures, meetings with officials (Swedish Ambassador) and Korean business managers and field trip to companies. Moreover, the programme extends beyond pure business topics and lets participants to be immersed in the Korean culture and learn about Korean history, food, language, script and contemporary culture. 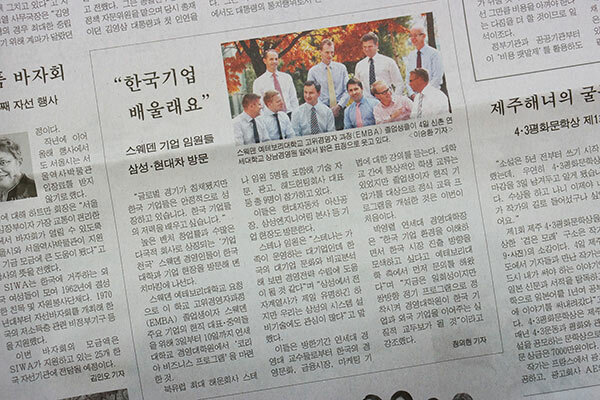 We were featured in an article in Maeil Business Newspaper on Tuesday, November 5, 2013. This is the largest business daily in Korea. 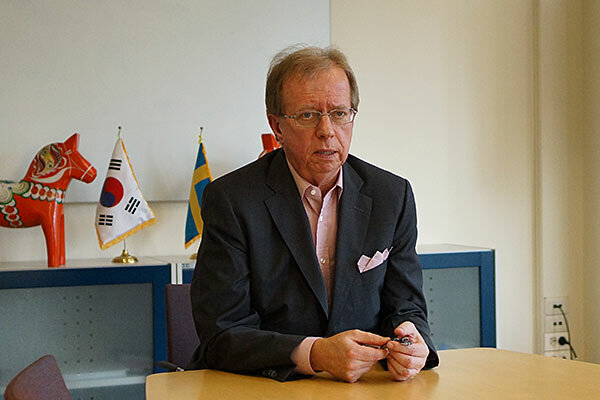 Lars Danielsson, Swedish Ambassador to South Korea received us at the Embassy and gave his view personal view on the Koreas. Gangnam means literally “river south”. It is an area in Seoul located south of the Han river. 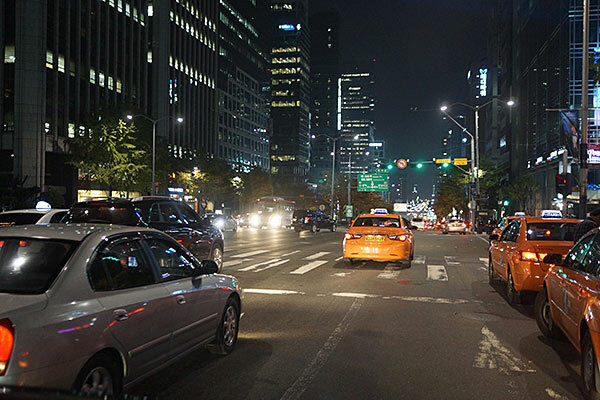 Gangnam is a business district and also a place for high-end shopping. 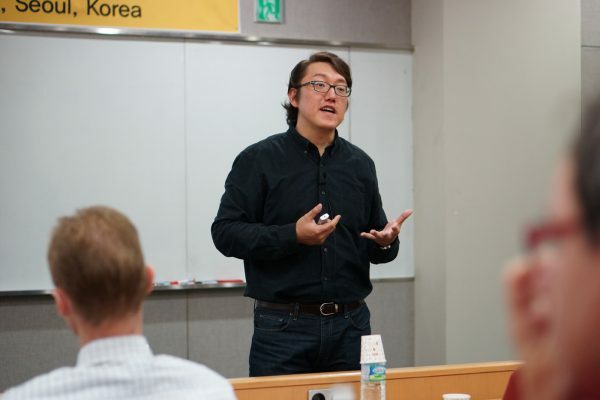 Professor Hyan-Han Shin is a finance professor and Associate Dean for Strategic Planning at Yonsei University, School of Business. He is also Co-Director of the Korea Business Programme. 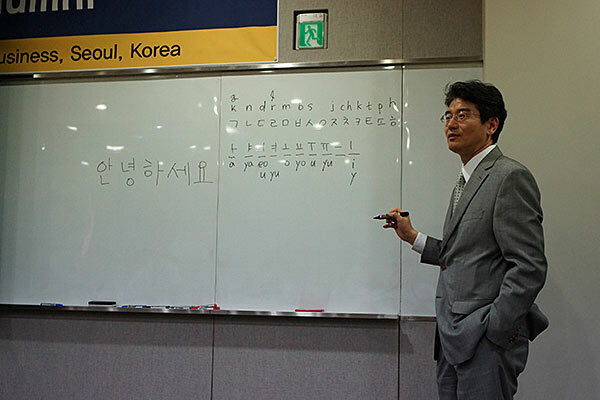 Here he explains how the Korean alphabet works. The alphabet itself was defined in 1443 as a result of a dedicated task force.